This week I’ll be recommending one of my very favorite books. This is actually the very first book I read with my friends when we started out book club, Bibliophile Academy. We all loved it and read it within a few days. This book has a very special place in my heart and it’s definitely one of the best books I’ve read. This is such a fun New Adult romance. It’s the perfect mix of fluffy and realistic. Wait for You is honestly one of the most entertaining books I’ve ever read. The main character, Avery, is well written and has tremendous development. Cam was surprisingly wonderful. He wasn’t controlling, bossy, or even a little bit possessive. I looked long and hard for some sort of controlling or possessive trait but he had not a single one. He treated Avery like an adult, like she was his equal. He let her make her own decisions and never tried to change her mind when he didn’t agree with her. And because of that, Cam will forever be one of my favorite characters in literature. If more male characters were like him, the Young Adult and New Adult genres would be way more advanced. 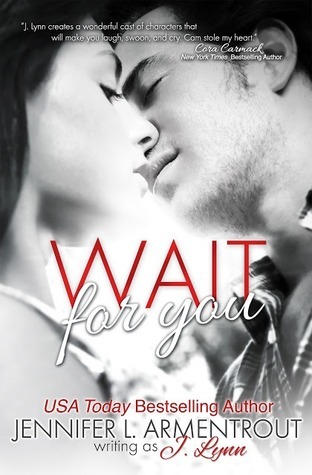 Wait for You is without a doubt, one of the best books I’ve ever read. I loved every second of it and I highly recommend it.